FX4 FLARESIDE need the pics to inspire me to a 4 inch or maybe a 6 inch . Ristuccia has a great looking flare lifted. Bad looking and it's starting to rub off. Hope i don't fall out of it LOL. Need to keep ride quality at it's best without losing it to the aspalt jungle. Last edited by bluestang67; 09-22-2004 at 04:08 AM. I know the lifts are a lot of money but IMO its well worth it. 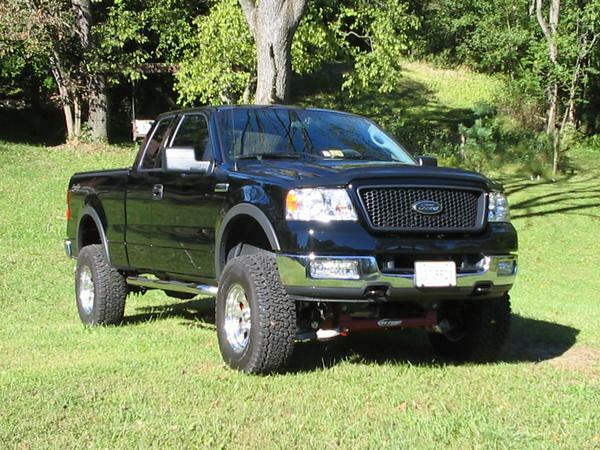 I dont think any other mod makes this truck like a lift does. This is the way the truck should have come off the assembly line. As far as ride...I havent sacrificed anything with my lift. If anything, the ride has actually imporved because I got rid of the stock shocks in the back of the truck. It really is a great lift and I dont think you can go wrong. The new problem you will have is all the people stopping you commenting on the truck, or like last weekend, a motorcycle riding up next to you and the woman on the back snapping pics of the truck. It looks great, drives great, and performs better offroad. A perfect investment for this ride. Took some more pics over the weekend, and I will try to post them later for support. FX4 FLARESIDE need the pics to inspire me to a 4 inch or maybe a 6 inch. Eventually I'm gonna go there, but the 2.5" Top Gun Customz leveling kit and 33's will keep me satisfied for the time being. But since you want inspiration... DO IT MAN!!! Yeah I am a little confused...how is this not inspiring? That makes two of us... you lifted bastards! %*@(@#$!!! Well wish my link to my gallery would show up and I'd show you mine too! I get stopped and complimented daily on my rig with a 6" Procomp. It's big, but hey it's a true fullsize now! here's my silver supercrew 4x4 6"skyjacker on 35" super swampshttps://www.f150online.com/galleries....cfm?gnum=4729 how do you guys post your pic on the reply? Last edited by hoff; 09-22-2004 at 11:12 PM. Sweet! I am still debating between Skyjacker's 6" Procomps and Fabtechs. 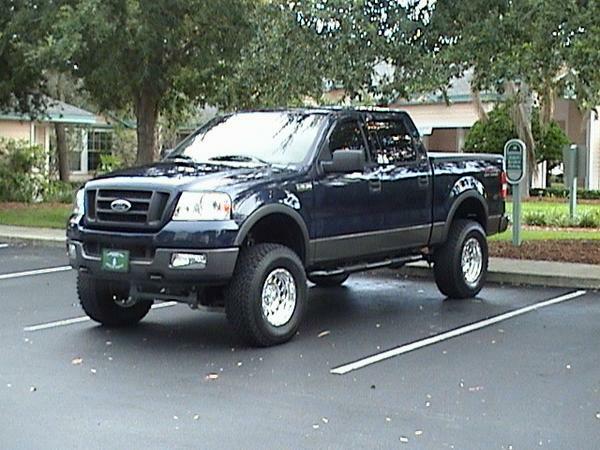 Then I will do a 3 inch body lift. 9" over all with 37's. PERFECT! Hoff, to put a pic in the reply, click on the pic you want, the click on "Forum codes" then you can copy and past the code into your reply and the pic will show up. Bigger IS better! Or at least, thats what SHE said! hey thanks for the tip on pic posting.I like to say all the trucks posted here are awsome. thanks again.